Tomorrow is Yeats Day, marking the birth of William Butler Yeats (13th June 1865). (Thanks to Annie West for permission to use the picture above. Her website, chock full of pictures of the incidents of his life Yeats would prefer to forget, is here). Yeats Day is relevant to this blog because William Butler Yeats had philosophic interests (and is listed in DIP), which went beyond his habit of reading Plotinus to dutchesses. He developed a philosophic system regarding the self and anti-self, and these reflections on the self have parallels to Wilde’s thought (hence the picture above). The occasions Yeats met Wilde made a strong impression on him. 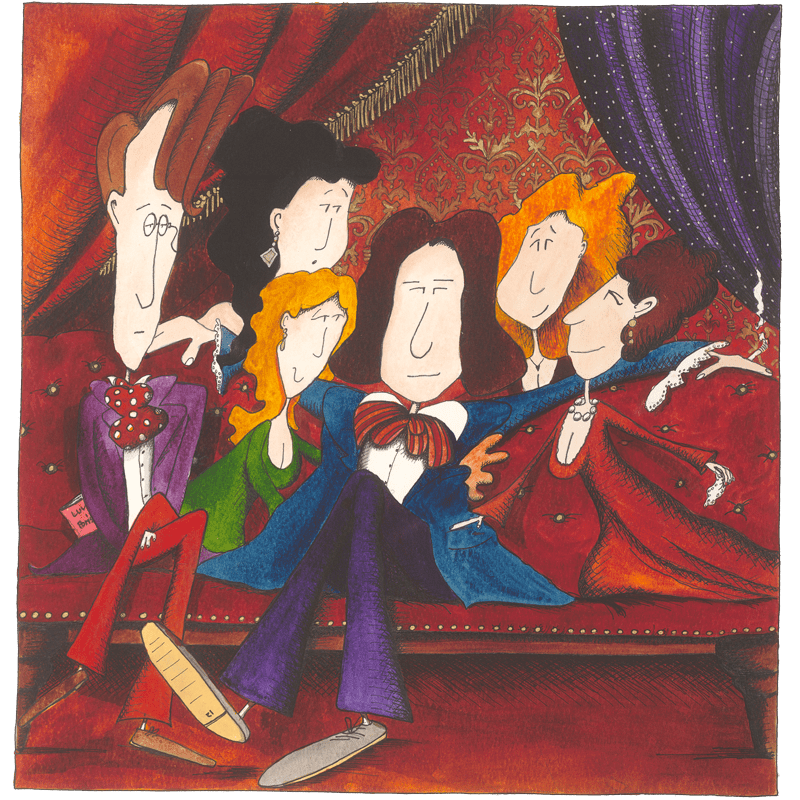 A year of literary drudgery reached its ironic conclusion when Oscar Wilde, then thirty-four years old, invited Yeats for Christmas dinner at the elegant home he shared with his wife in Tite Street. He thought the young man alone in London. The poet was impressed by the precious interior of the house beautiful, by Wilde’s studied act of self-fashioning and by his commitment, in disdain of the market-place, to art as a form of moral vision. It was this latter aspect of his fellow Irishman’s experiment in living that was to mean most to Yeats. He would remember how Wilde in his person and in his critical writings had espoused a doctrine which made the aesthetic a force for the spiritual transformation of human consciousness. Wilde’s ideas of personal development are plausibly at the root of Yeats theory of self. Wilde believed in self-fashioning and had a fascination with masks, holding them to be more true than what they concealed. Yeats argues for an self that is not given by Nature or God but achieved by the individual. To change ourselves, says Yeats, requires an act of imagination. “Active virtue as distinguished from the passive acceptance of a current code is therefore theatrical, consciously dramatic, the wearing of a mask” (1909; Autobiographies, p. 347; also quoted in Per Amica Silentia Lunae). Only in this way can we impose discipline on ourselves. Yeats suggests active natures tend to pose and cites Oscar Wilde as an example. More on the development of Yeats’ philosophy of the self here.